Another product of my recent raid on Trader Joe's. 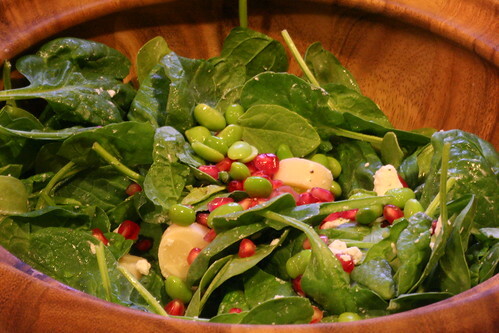 Toss all ingredients together in a big salad bowl. Enjoy! This and the breadsticks looks amazing. I made a pot roast (i know, exciting right?) for dinner tonight so I will definitely be making this salad and bread stick combo for dinner tomorrow! Thanks Amy!!! and Ryan thanks you for making dinners much more interesting! haha. So glad you guys liked the salad. Focaccia breadsticks...I think you're onto something big here! !